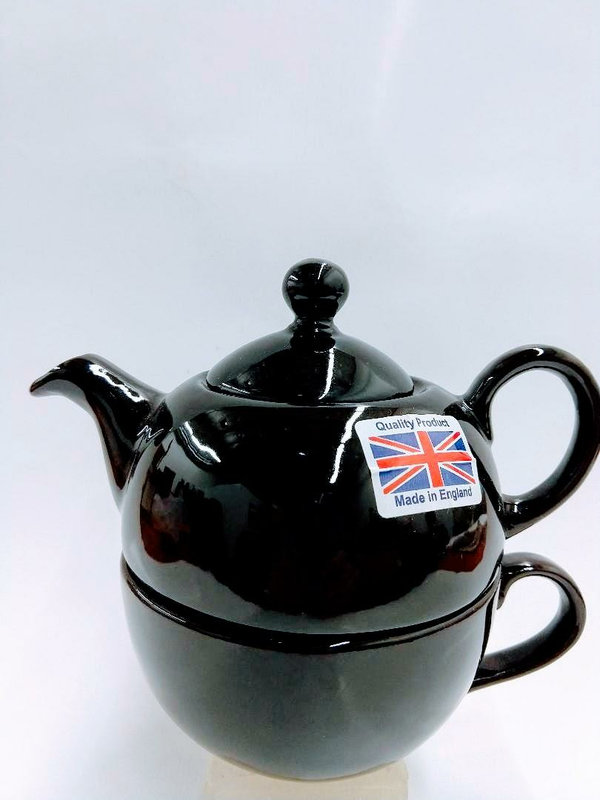 Stacked Brown Betty Tea-for-One teapot with cup design. 6 1/4" tip of spout to handle. 5 3/4" in height.